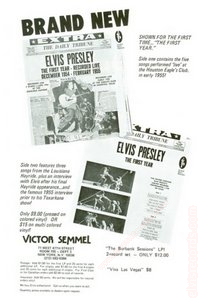 Cover Front: ELVIS upper left corner. 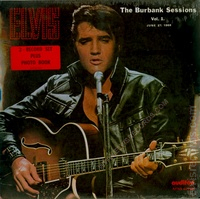 The Burbank Sessions Vol.1. 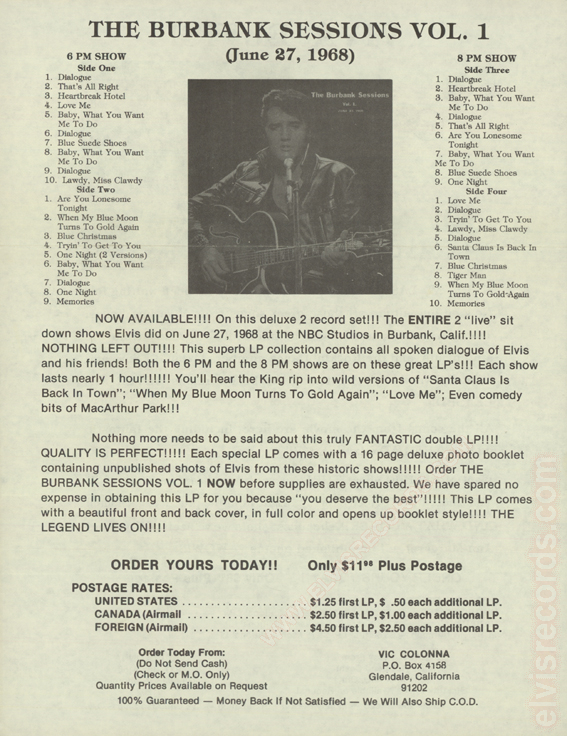 June 27, 1968 upper right corner. 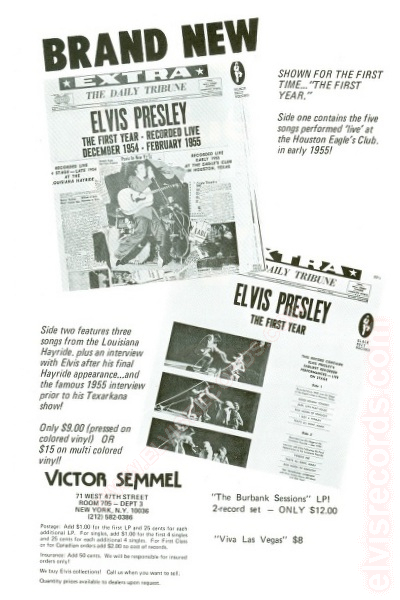 Manufacturer and catalog number lower right corner. 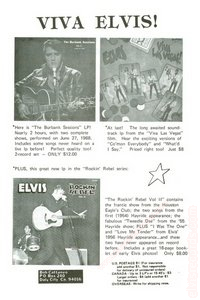 Features photo of Elvis. May contain sticker announcing contents. 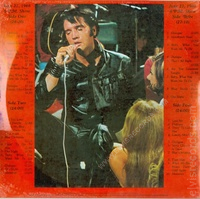 Cover Back: Red border around picture of Elvis. 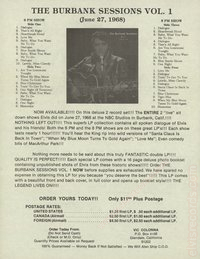 Song titles on either side. The one page advertisement The Burbank Sessions Vol., 1 (June 27, 1968) was available via mail order.1 The other two advertisements can be found in the January 1979 edition of Record Digest.